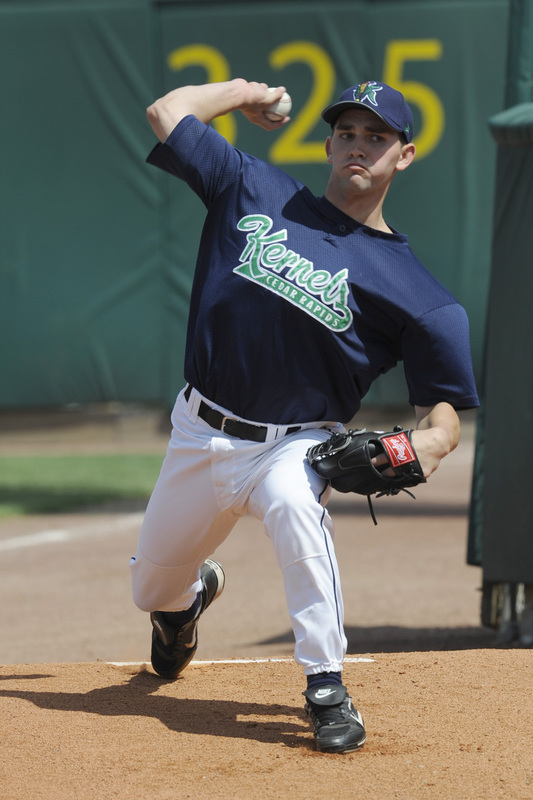 On August 28, 2009, Tyler Chatwood allowed three runs in six innings of work as the Cedar Rapids Kernels defeated the Peoria Chiefs 8-3. Chatwood struck out five while walking two and allowing four hits to earn the victory. Tyler Chatwood made his MLB debut on April 11, 2011 versus the Cleveland Indians. Chatwood went 6-11 with a 4.75 ERA starting 25 games in his rookie season this year. He struck out 74 batters in 142 innings of work. On November 30, 2011, the Colorado Rockies traded Chris Iannetta to the Los Angeles Angels to acquire Chatwood. Chatwood has posted a 3-3 record with a one save and a 4.98 E.R.A. in 12 appearances with the Rockies in 2012. He has struck out 20 in 34 1/3 innings of work. Chatwood has a career record of 9-14 with a 4.80 E.R.A. in two seasons playing for the Angels and Rockies. 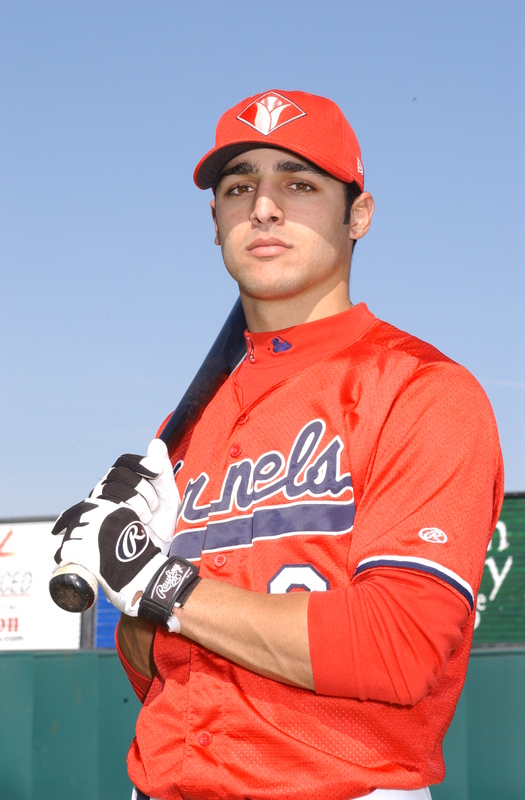 On July 19, 2005, Sean Rodriguez went 2-4 at the plate with a pair of doubles and three RBI as the Cedar Rapids Kernels defeated the Peoria Chiefs 10-6. 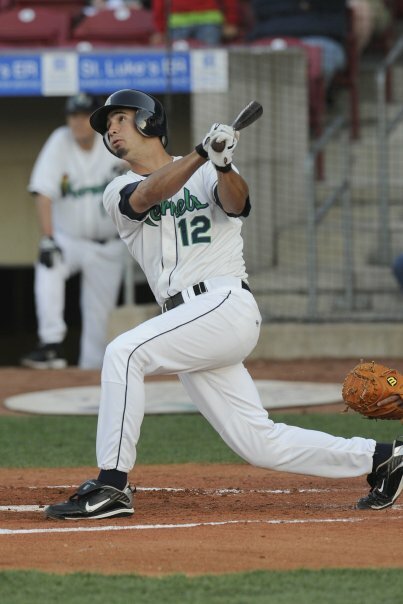 Rodriguez hit .250 with 29 doubles, 14 HR, 45 RBI and stole 27 bases in 124 games during the 2005 season for the Kernels. Cedar Rapids finished the season with a 65-75 record under manager Bobby Magallanes. 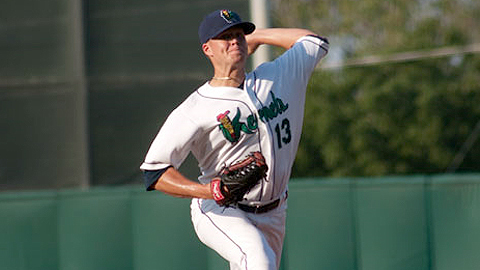 Rodriguez was a member of the 2004 Kernels teams as well. 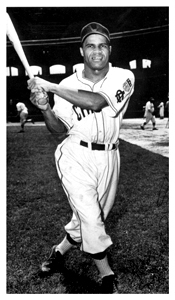 He hit .250 with 4 HR, 17 RBI and stole 14 bases in 57 games. Sean Rodriguez made his MLB debut on April 19, 2008 for the Los Angeles Angels. Rodriguez was acquired by the Tampa Bay Devil Rays along with Matt Sweeney (2007) and Alexander Torres in exchange for Scott Kazmir on August 29, 2009. Sean Rodriguez has hit .227 with 28 HR and 117 RBI over parts of five MLB seasons playing for the Angels and Rays. He is hitting .221 with 6 HR and 27 RBI in 85 games in 2012 for the Rays. 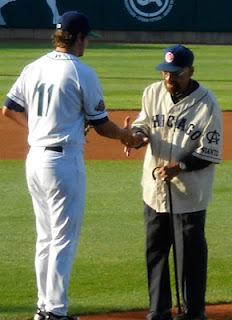 On July 12, 2010, Stephen Locke pitched the 12th Cedar Rapids no-hitter since joining the Midwest League in 1962. Locke worked five shutout innings striking out two while only allowing one walk in the rain shortened game as the Kernels defeated the Peoria Chiefs 10-0. It was the second Kernels no-hitter of the 2010 season. Fabio Martinez, Kyle Hurst and Mike Kenney combined to no-hit the Kane County Cougars on April 30, 2010. Cedar Rapids had never had a pair of no-hitters thrown in the same season. Stephen Locke posted a 8-7 record with a 4.37 E.R.A. 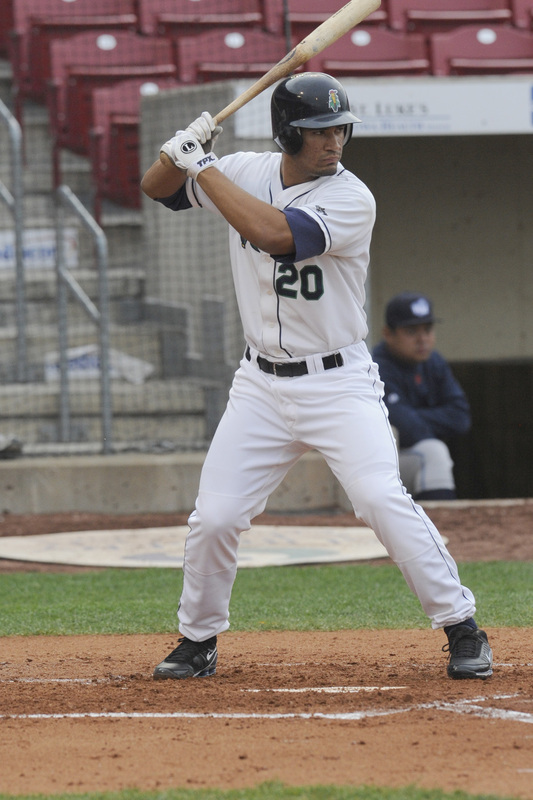 in 19 games for Cedar Rapids in 2010. Locke struck out 77 batters in 117 1/3 innings of work. Cedar Rapids finished the season with a 82-56 record under manager Bill Mosiello. 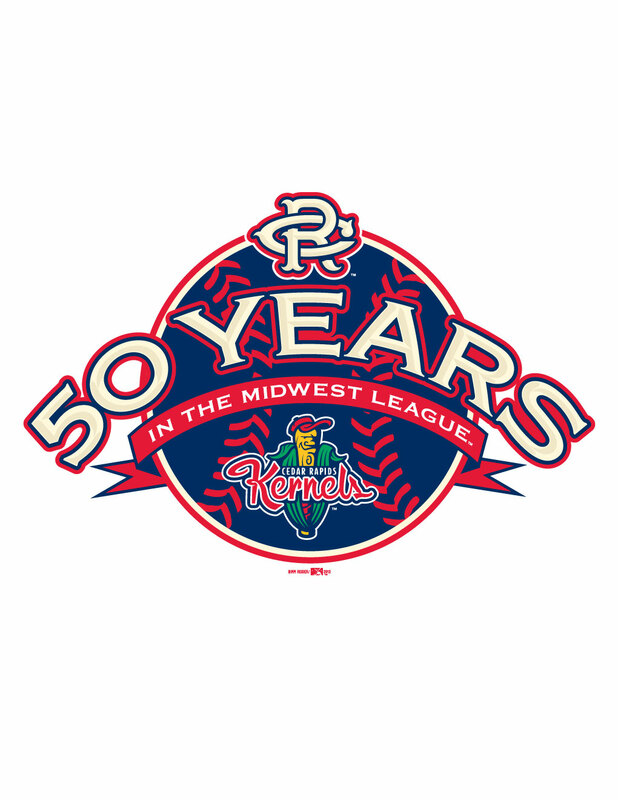 The Kernels lost to Clinton in the first round of the Midwest League Playoffs. Stephen Locke posted a 0-1 record with a 10.57 E.R.A. in 2 starts for Inland Empire (Hi-A) in 2011. 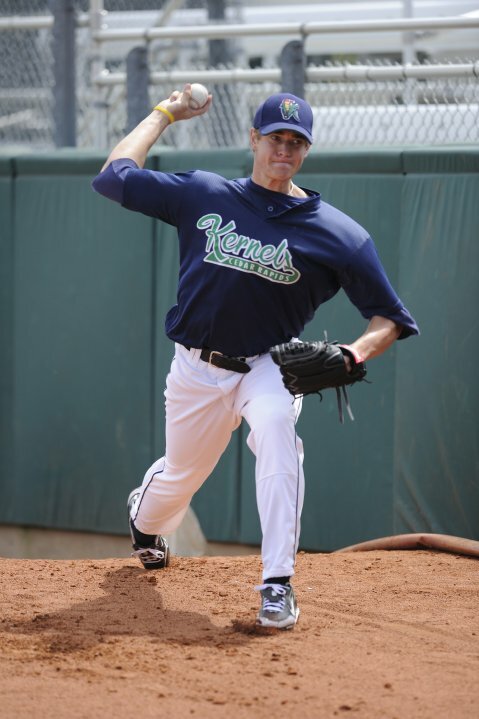 On May 26, 2010, Garrett Richards pitched six innings while allowing one unearned run to earn the win as the Kernels defeated the Peoria Chiefs 7-3. Richards struck out three while allowing two hits and three walks in the victory. Garrett Richards posted a 8-4 record with a 3.41 E.R.A. in 19 starts for Cedar Rapids in 2010. Richards struck out 108 batters in 108 1/3 innings of work. Cedar Rapids finished the season with a 82-56 record under manager Bill Mosiello. The Kernels lost to Clinton in the first round of the Midwest League Playoffs. Garrett Richards made his major league debut on August 10, 2011 with the Los Angeles Angels. Richards posted a 0-2 record with a 5.79 E.R.A. in 7 games for the Angels last year. He posted a 12-2 mark with a 3.15 E.R.A. for the Arkansas Travelers (AA) in 2011. Richards is 5-2 with a 4.31 E.R.A. at Salt Lake (AAA) this season. 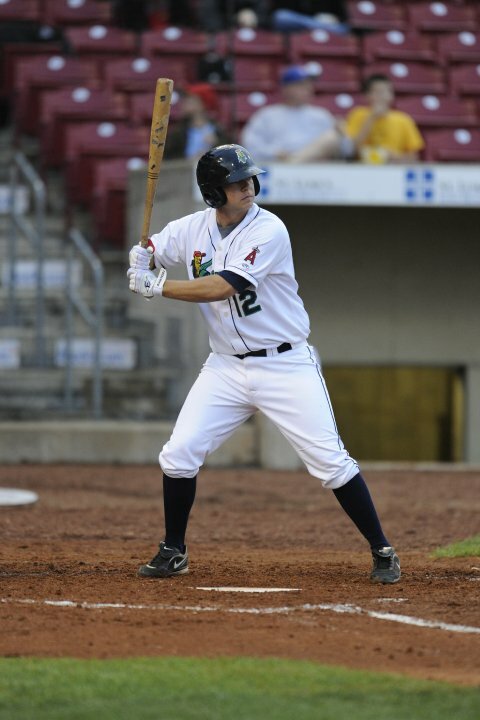 On May 6, 2010, Casey Haerther was 4-5 at the plate with a double, a HR, two RBI and scored a pair of runs and Eric Oliver went 3-5 with a double, a HR and four RBI as the Kernels defeated the Peoria Chiefs 11-4 on the road. Casey Haerther hit .307 with 26 doubles, 8 HR and 74 RBI in 113 games during the 2010 season. Eric Oliver hit .245 with 9 doubles, 3 HR and 23 RBI in 47 games for the Kernels. Cedar Rapids finished the season with a 82-56 record under manager Bill Mosiello. 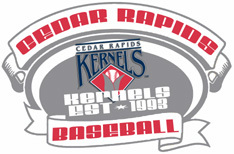 The Kernels lost to Clinton in the first round of the Midwest League Playoffs. Casey Haerther hit .293 with 34 doubles, 8 HR and 68 RBI for the Inland Empire 66ers in 117 games in 2011. 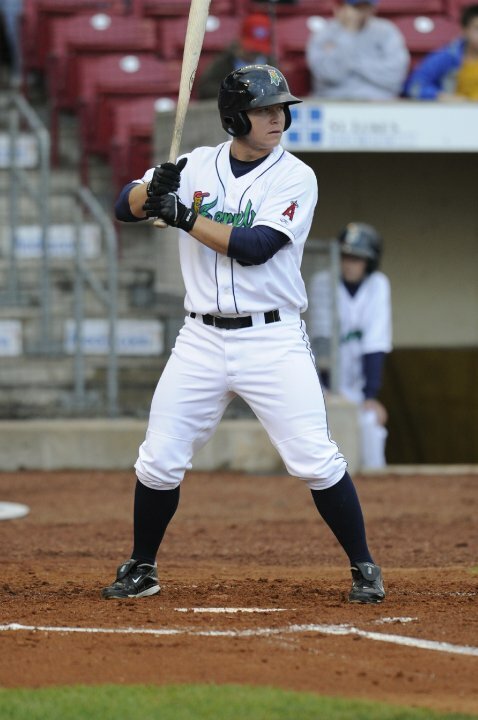 Haerther is hitting .256 with 2 HR and 5 RBI in 13 games for the Arkansas Travelers in 2012. Eric Oliver hit .266 with 6 HR and 39 RBI in 59 games playing for Inland Empire (High A) in 2011.